Our coverage round-up comes from our lovely client and inventor of oyster sauce, Lee Kum Kee! 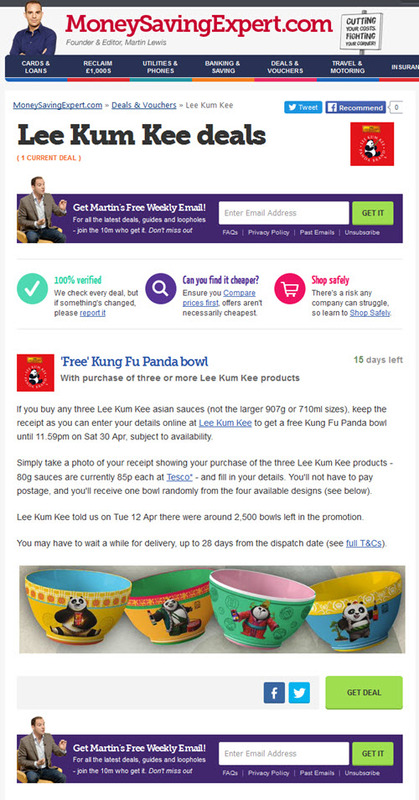 They are currently running a promotion where you can buy any 3 Lee Kum Kee products, upload a picture of the purchase receipt to the website and receive one of four exclusive Kung Fu Panda Noodle Bowls + KFP cookbook. They have teamed up with Twentieth Century Fox and DreamWorks to work on this gift promotion regarding the launch of Kung Fu Panda 3.